A few days ago, a rash appeared around my abdominal area. I did not know where it came from, it was super itchy and annoying, so I asked my friend’s sister, who is a dermatologist, for some help. Since I can’t have my rash checked up on that day, she suggested that I use some petroleum jelly first until she finds out what’s the cause of my rash was. That’s made me realize how petroleum jelly should be a staple for everyone, especially for beauty geeks (like me)! If you want your lashes to grow and look healthier, apply enough jelly to cover your lashes before you sleep. Leave it overnight, then wash it off the next day. With continuous use, you’ll have your long and thick lashes in no time! Just dab a small amount on the temples of your cheeks evenly, and you’re good to go! Use this to protect your teeth from getting lipstick stains! Just apply a thin layer over your front teeth before applying your lipstick. Put some petroleum jelly around your hairline and your ears before coloring your hair to keep the dye away from your skin. Put a little amount of petroleum jelly on your ear lobes (near and on the part/s where the hole is/are) to put on earrings easier, and to avoid redness around it! If you love nail art, then you’ll love this hack too! Apply some petroleum jelly on your cuticles and the skin surrounding your nails to keep the nail polish off of them! I use this for my lips and cheeks only, btw! If you have a lot of split ends, try using this to seal them! Just rub a wee bit of jelly on the ends of your hair, and say bye-bye to your bad hair days! The jelly doesn’t help in healing them, but it does a great job in protecting them! Just apply a thin layer of jelly on your open wound / bruise to have it protected from dirt. That way, your wounds and bruises won’t sting, too! Petroleum jelly should be everyone’s BFF when it comes to wind burns. Yes, it might look gooey, and it may not look pleasing to the eyes, but it works! It protects your lips from the wind, and keeps your wind burn from burning. Who knew that brown sugar & petroleum jelly could be a perfect match? Yup, you read it right! Just mix those two, and scrub all those dry skins away! Apply some chilled petroleum jelly on your forehead to keep those bad & hot vibes away! Yup, petroleum jelly can make your perfume last a few hours longer than usual. Just spread a thin layer on your neck and wrists, then top it with your favorite perfume! After curling your lashes, put a small amount of petroleum jelly on your lashes! Use a spooly (or a mascara brush) to even out the look of your lashes! Disclaimer: I am not a dermatologist, cosmetologist, or a professional of any sort. Everything said here is solely based on my opinions and experiences. I found the hacks useful, and I’ve been using some ever since I was a kid, so I thought of sharing them with my readers (if there are!). I hope the list helped you out somehow! I didn’t know that this had so many uses! I’ve only ever used it as a form of chapstick. These are some great uses I’ll definitely have to try. Oh my gosh, who knew you could use this petroleum jelly in so many ways! This is such a creative post, I have never seen anything like it. Thanks for sharing your story! I have never tried to use it to moisturize my entire hair, I should give that a try! I’d never heard of using it as a perfume preserver! I need to try that out! Yay you have a blog too! I keep a big tub of petroleum jelly with me all the time too. I use it as my occlusive to lock in everything in my PM routine. I literally only ever used petroleum jelly for chapped lips and cracked knuckles. I didn’t realize there were so many uses! Fun post! Please check out my international giveaway! what a great post. unfortunately i breakout from petroleum jelly just putting it on my lips gives me pimples on my chin. bummer right. Wow! Who knew it had so many great uses?! I’m definitely going to try the lip color and hair dye hacks. Thanks so much for sharing!! I have heard it’s great for any skin irritation. I had an EMT tell me to put it on a pimple and it would make the pimple come to a head, also! OMG? Thanks for the tip, Sarah! I actually have one right now (sorry if that’s TMI 🙊) but yea, I’ll try it out tonight! Haha hope it’ll work! I wear so much lipstick that I can’t wait to try the lipstick hack! Thank you for posting these I can’t wait to try some. Yay! Glad to hear that you appreciate PJ too haha thanks for dropping by! I’m totally going to try the jelly around the nails when my (4 year old) daughter paints my nails. It isn’t usually pretty but this will help with clean up! Thank you for the tips. I never realized how many uses this had. I’ve always just used it when tinting eyebrows! Great post! Haha yes, nobody wants that, unless it’s a part of a play or something 😂 Thanks for dropping by, Tamsin! I put Petroleum Jelly UNDER my eyes before sleep and after I cleanse my face in the AM (before putting on make up)… It’s awesome – and has helped reduce my bags for sure … AND it obviously helps if you have dry skin under eyes (which make bags and circles look worse) – I swear by it! I still have some circles but definitely not as bad! Oh wow! What a timely tip! I have terrible under eye areas and I need this in my life! #designstudentprobs I’ll give this one a try soon! Thanks for dropping by btw! Great post. I was bought up y a mother who believed that Vaseline (petroleum jelly) was a cure all. If I went camping, I could always guarantee that mum would have snuck a jar in my backpack. Skiing with the school, yep… Vaseline for chapped lips…. so why I have personal experience of some of these tips, there is more here than i would have imagined. Great stuff and a special thanks for helping me revive so long lost memories of my mother! Thanks for dropping by and sharing you experience, Tony! Well… Mothers know best, right? (I don’t agree that PJ can cure everything, but it cures A LOT haha)! I use PJ on my babies for diaper rash-works just as good as expensive lotions. Right?! That’s what I love about PJ! It’s affordable, and you can buy it from anywhere! Thanks for dropping by, love! I didn’t know there were so many uses but I have used it as a lip scrub, for those pesky hairs that stand on end and as a skin protectant. I have actually included into my lotions so that my skin doesn’t dry out quickly. OOH Love the hair dye blocker idea! I needed that one! 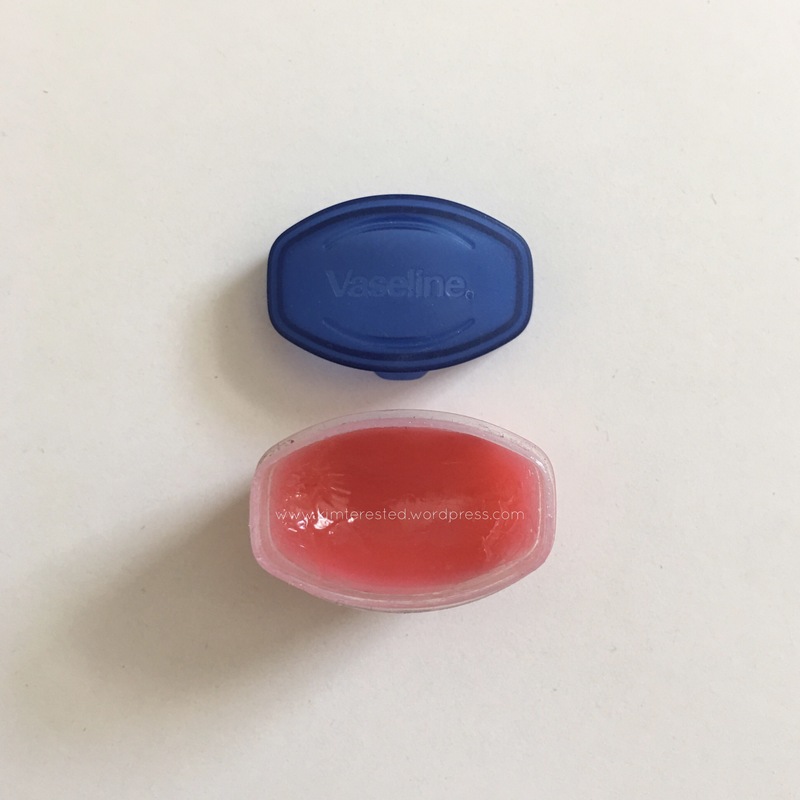 I actually used to use vaseline to remove makeup when I ran out of makeup wipes! Thanks for the hacks, I will be trying #13 soon! I love all of the ideas! I love using petroleum jelly as a regular lip gloss. It really helps my dry lips. Thanks for such an informative post! Great tips! I’d never heard it can help with growing lashes and brows. Very cool! I know I am going to try it for my lashes! Thank you for sharing such wonderful tips. I honestly did not know of many of them. Hahahaha the struggle is real w my lashes too! Glad you found my tips helpful! Good luck again! Nice hacks,.. thank you for this post,..